Back in September Google decided to delay the final public release of Android Wear 2.0 until next year, not obeying its initially promised "fall 2016" timeline for the outing. This was probably done in order to make sure all the new things in Android Wear 2.0 work well and the whole experience is devoid of any nasty bugs. And since there are quite a few new features in Wear 2.0, that probably makes sense. Today Google is releasing the fourth Developer Preview of Android Wear 2.0. The previous developer-focused software brought the Play Store to your wrist, and the new version builds upon that by enabling in-app billing on your wrist. A 4-digit Google Account PIN will let you confirm purchases. Since Android Wear 2.0 supports standalone watch apps, you're going to have to log into some of those obviously. To make this process as painless as possible, the new Developer Preview has "seamless authentication" built-in. You tap a button on the watch that will open an authentication screen on your phone - and you can enter your details there, which should be a lot easier than on your watch. The swipe-to-dismiss gesture is back in this release, while the hardware button now maps to "power" instead of "back". From this point on, Android Wear 2.0 is compatible with Wear 1.0 apps. When you install an app on your phone that has an embedded Wear experience, you'll get a notification prompting you to install that to your watch. If you choose not to, you can do it later by selecting the app from the new "Apps you've used" section in the Play Store on Android Wear. Finally, the build has support for burn-in protection icons for complications. Complication data providers can have special icons for screens prone to burn-in. Generally such icons will basically be the outline of the 'normal' icon in interactive mode. 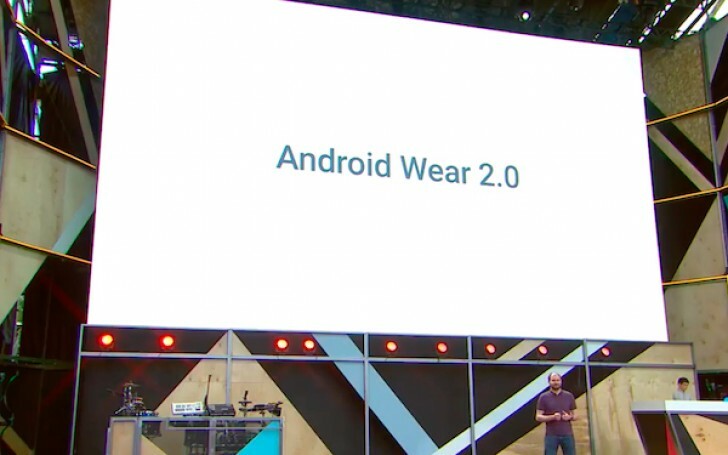 Google notes that there will be an Android Wear Developer Preview 5 in the future, so this isn't the last testing release before the public version goes out. That means the Android Wear 2.0 release for consumers is probably still at least a couple of months off at this point (if there isn't going to be a sixth preview too, of course).